Tennis net, top quality championship standard net, black 3.5mm braided polyethylene net, QUAD stitched vinyl coated fabric headband. Doubles length of 42' (12.8m). The tennis industry's benchmark net. 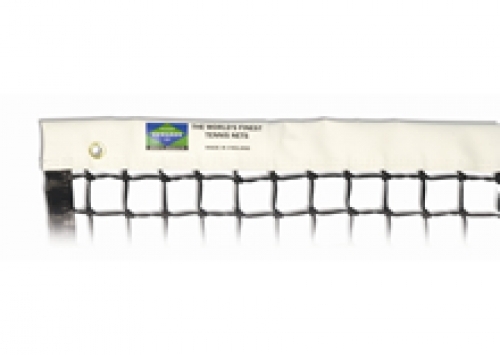 All our tennis nets are made in the UK using only the finest quality materials. Price includes VAT & carriage to UK mainland.